As a kid, I felt like I spent a lot of time trying to understand jokes, and what made things funny. 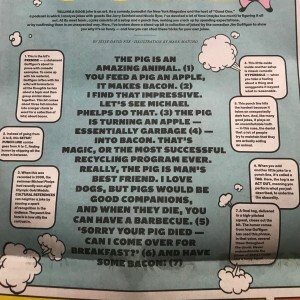 This breakdown or dissection of a bit by Jim Gaffigan goes to the next level of helping to understand that. If I could link to the actual graphic in the New York Times, I'd do that. It doesn't appear to exist, unfortunately.